We are creatures of ritual. We have mourning rituals, work rituals, worship rituals, play rituals, daily rituals, and spontaneous rituals. Here are some mourning rituals bereaved families have taught us were helpful to them to include as they planned for the first anniversary of a special day without the one they loved. Remember that a ritual is designed to comfort and should be meaningful to you and the people involved in the ritual. The more input you can get from people planning to participate the more meaningful it may be for everyone involved. Here are a few suggestions. Plant a tree, shrub or garden pot in memory of the one who died. You may want to invite close friends and family members to share in a planting ceremony. Take time to share memories of your loved one, have a light reception or gather annually to celebrate the ways this person lives on in your lives. This may coincide with the anniversary of his or her death or a special day. Make a donation to his or her favorite charity or non-profit in his or her memory. Everyone in the family can participate in selecting and contributing to the donation. Make a point to discuss the life or lives of those who have died. Tell old stories again and again. Memories can be very healing when shared with others. Holidays are full of favorite dishes, bread, and desserts. Offer to bring the dish to a gathering of family or friends and share a story about the person’s love of the food. If you have children, make the recipe with your children and talk about your loved one as you prepare the dish. Our culture has lost outward signs that a person is grieving. This does not, however, stop us from creating our own reminders. Wear something that belonged to your loved one like a ring, jacket, shirt, scarf, necktie, or necklace. This might help you feel close, especially when you are missing him or her during this time. You may put on her or his favorite coat, sweater or favorite hat when you feel you are missing him or her during formerly shared activities. Wearing your loved ones favorite color throughout the holidays could be a great reminder that he or she is a part of all you do during this season. 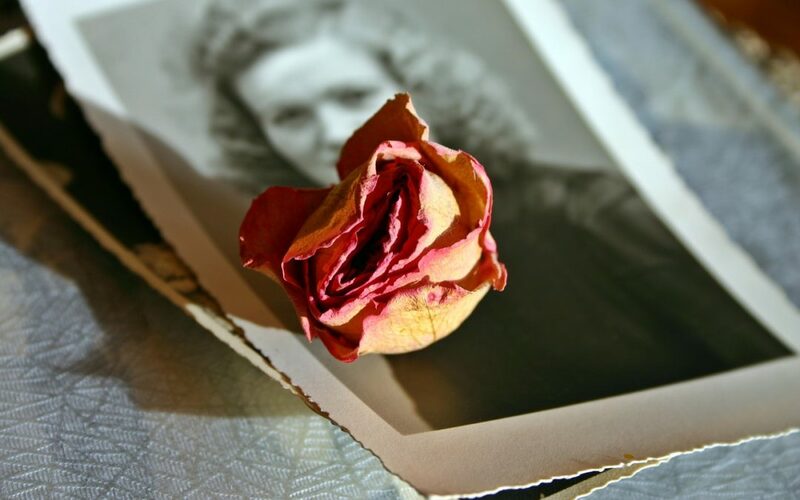 There are several ways to remember your loved one through the written word. Write a personal letter to the one who died. Say everything that you would say in person. Let your heart write the letter. When there are children in your life who will have limited memories of their own, consider writing a book of stories about the person who has died. Invite others to include their favorite stories. Share the best characteristics the person had that you will want the children to remember and embrace for themselves. You and the children could also write a card to someone you know he or she would have written during this time of year. They may have reached out to old friends or distant family members who will also be missing the person you love. Include a favorite family photo that included the person who died.